My second post and I'm already going off-topic. For that, I apologize. 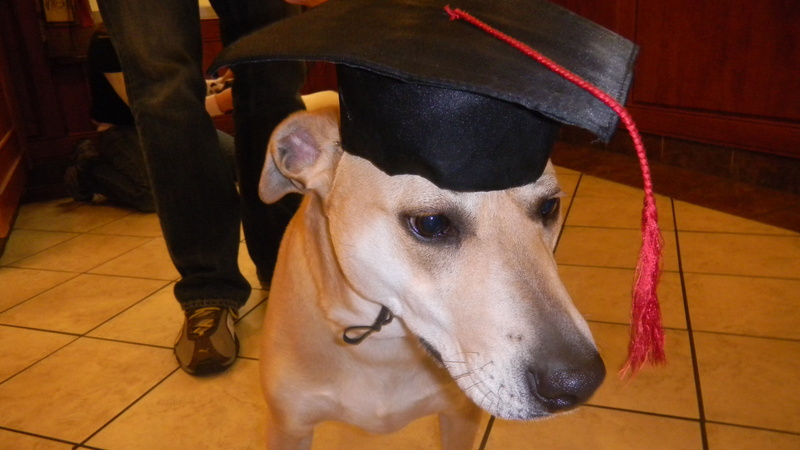 But, I'll make up for it by posting cute photos of my dog in a graduation cap. That's right. 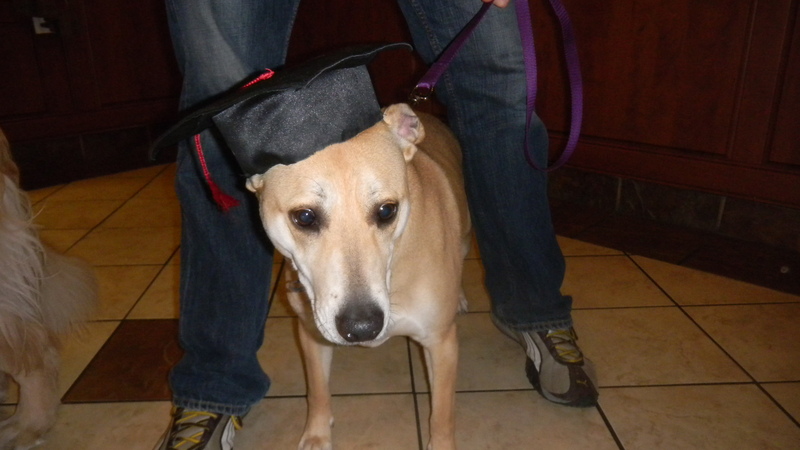 Our Phoebe girl graduated from the intermediate level of obedience school. Side note: We skipped right past the beginner level. Pheebs is smarter than that! Look how intelligent she looks. Either that, or she's letting me know how much she hates wearing a hat. « And here we go.